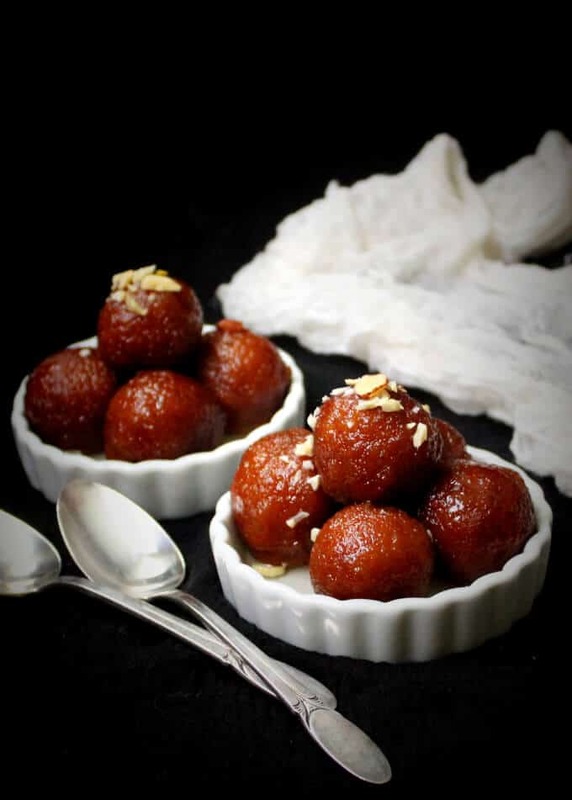 Vegan Gulab Jamun is an Indian dessert to die for. 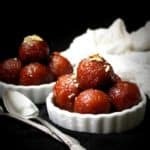 These gulab jamuns come together in a jiffy, using bread and cashew cream, but they are so delicious, no one can tell they are divinely dairy-free. 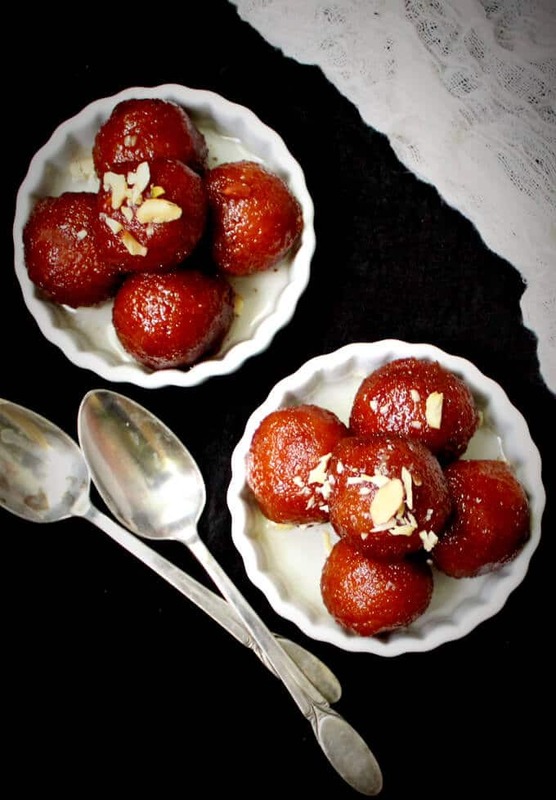 A gulab jamun is the ultimate Indian dessert. You’ve likely run into these red-gold orbs of deliciousness scented with cardamom and dunked in a flavorful sugar syrup at an Indian restaurant. Or you’ve likely tried making them at home. Either way, you know that to eat one is to fall in love with it forever. 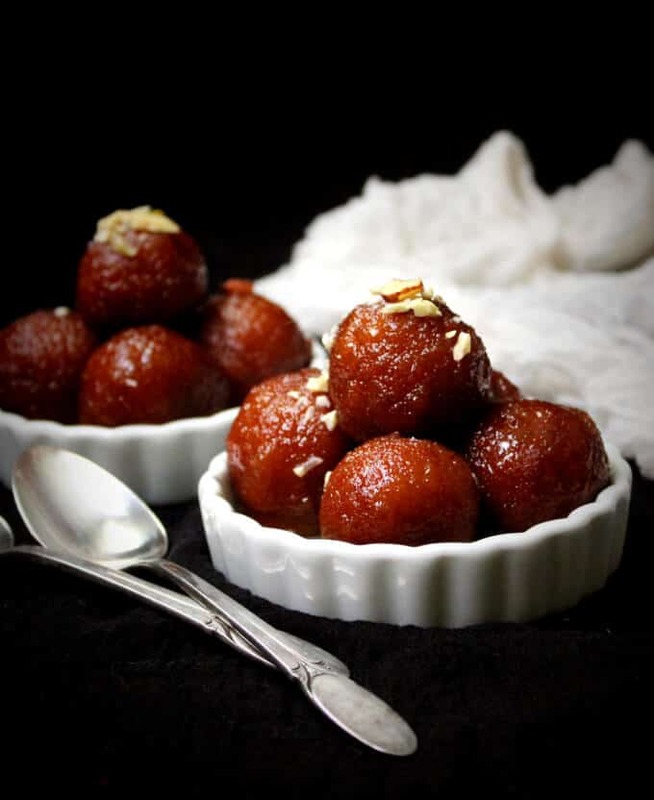 Traditionally, the gulab jamun, like most Indian sweets, is made with cream, or a reduction of milk called khoya. 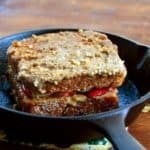 But the version I have for you today is vegan, of course, and therefore uses neither: instead, it uses a common ingredient that you likely already have in your kitchen, white bread, along with cashew cream. The milk is completely unnecessary: the bread jamuns are just as delicious and no one will be able to tell the difference. But moving away from dairy can make a world of a difference: to your own health, and to the health of the millions of cows caught up in India’s milk production system. I am always a little amused when people I meet assume, more often than not, that my veganism is a byproduct of being Indian born. I was not raised in a vegetarian household, and the truth is, only about 30 percent of India’s population is vegetarian (not vegan). 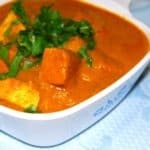 Indian vegetarians have always included generous amounts of milk products in their diet. Ghee, yogurt, buttermilk and milk are eaten every day in most homes, and their consumption — and the production of milk — is on the rise in India. But at the same time, there is an almost naive lack of understanding among most Indians about where that dairy comes from. The cow is revered as holy by Hindus, but no one really seems to question the cruel abuse of cows in factory farms and tabelas that supply India’s greed for milk. For those who still believe that cows do not die to produce milk, here’s some food for thought: what do you think happens to the male calves, while you’re busy glugging the milk produced by his mom– for him? He either gets turned out onto the streets or is starved to death or gets sent to a slaughterhouse, along with tens of thousands of others like him. And what happens to the mom, kept in a constant state of pregnancy through artificial insemination until she’s four or five, once her usefulness has waned and she can’t produce milk anymore? Until recently, she — despite still having more than a decade of living left in her — would have been sent to slaughter (India is one of the world’s largest beef exporters). But under a new law passed very recently, cows in India can’t be slaughtered anymore. While that would be great if the government were to guarantee care of the cows after they have finished producing milk, what will very likely happen is that these cows will be turned out on the streets, to join the already large population of stray bovines in India. Once there, they will end up eating plastic bags for lunch or starving to death anyway. I am not even getting into all the other reasons why any animal loving Indian should shun milk: the hormones used to make the cows produce more milk, the painful machines the animals’ udders are hooked up to in order to extract the milk, the filthy conditions the cows often are forced to live in, and the lack of medical or any care through their lifetimes. Here’s an excellent piece from The Hindu newspaper. India’s dairy production system looks a lot today like factory farms here in the United States. Gone are the days when your friendly neighborhood milk vendor would milk the one or two cows he kept in his backyard and treated like family. Most milk sold today in India comes of terrible cruelty. It’s not enough to end the slaughter of cows– it is time to stop consuming milk because it’s just as cruel and just as deadly as any slaughter is. The other, very good reason to avoid milk is, of course, your own health. Milk is packed with artery-clogging cholesterol and sugar, and although you will often hear people argue about the importance of calcium from dairy, there is really no evidence that the consumption of calcium from milk products helps strengthen your bones. You aren’t a calf, are you? India and the United States, both large consumers of dairy products, have among the world’s highest rates of osteoporosis and diabetes. In India, where dairy consumption is growing each year, researchers have found a new phenomenon: a rise in osteoporosis rates among young women. On the other hand, calcium is abundantly available in vegan foods and in vegetables. 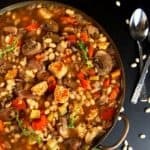 If you look through the nutrition labels of most of the recipes I share here on Holy Cow!, you will know that you can get good quantities of calcium from most homemade vegan food. And that calcium is better absorbed by your body than the calcium in cow’s milk is. Many vegan foods you can buy off the shelf are also fortified with calcium. 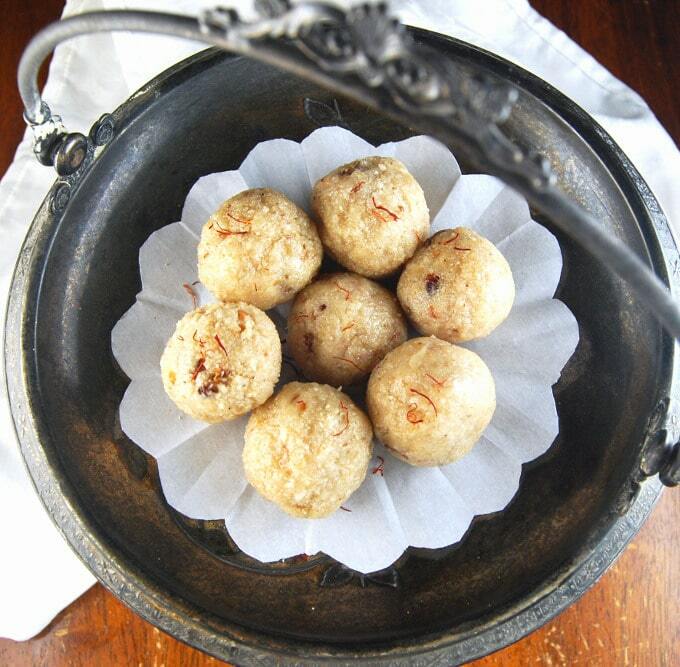 I have been veganizing Indian sweets over the years, and I am a little surprised myself that it took me a while to get to this, my most favorite of all Indian desserts, but as you will no doubt agree if you try these, they were worth the wait. This Vegan Gulab Jamun is all that: it is spongy and soft and it soaks up all of that cardamom-y, sugar-syrup goodness into its very core. It is also really easy to make: your hands-on work is no more than 15 minutes, tops. The jamuns themselves need just two ingredients: bread and cashews. And the sugar syrup needs three: sugar, cardamom, and a squeeze of lemon juice. You do need oil for frying, and water, of course, but I’m not counting that one. Imagine so much deliciousness with just six ingredients. But you don’t have to imagine — try ’em! 2 1/2 cups fine white bread crumbs (about six to eight slices of bread. Trim off the crusts and use the white portion only) It is important that the breadcrumbs are ground pretty fine, so you get smooth, even jamuns. 8 pods green cardamom, crushed with a mortar and pestle so the seeds are ground. Place the sugar and water in a saucepan and bring to a boil. Turn the heat to a simmer, add the cardamom and lemon juice, and let it cook for another five minutes. Turn off heat. Place the breadcrumbs in a bowl and mix in the cashew cream, a little at a time until you have a smooth, pliable dough that's not too stiff or dry. Divide into 14 equal sized pieces and roll each into a ball. You want a very smooth ball with no visible cracks on the surface. You can use some oil to grease your palms, which will help you shape the jamuns more easily. Heat oil in a wok or a fryer. You don't want to oil to be too hot, around 300 degrees is ideal. If the oil is too hot, the jamuns will brown very fast on the outside and not cook all the way through. Now place the jamuns, a few at a time so as to not clutter, into the fryer or wok. The oil should bubble only slightly. Don't let the jamuns settle at the bottom. Use your spider or a slotted ladle to keep moving them around until they become a deep, reddish color. Remove them to a plate lined with a paper towel. When the jamun is still warm but can be handled, use a very thin pin or needle to poke holes all around. This will help it better absorb the syrup. Place the jamuns inside the syrup while the syrup is still warm but not very hot. They should be completely immersed. Let them stand for 3 hours before serving, so they have enough time to soak up the syrup. Serve jamuns with a drizzle of the syrup and a sprinkling of nuts (optional). Thank you so much for this vegan option on gulab jamoon, and also on the detailed explanation on the cow reality prevailing in India. Congratulations! keep up posting and I promise I’ll keep reading. 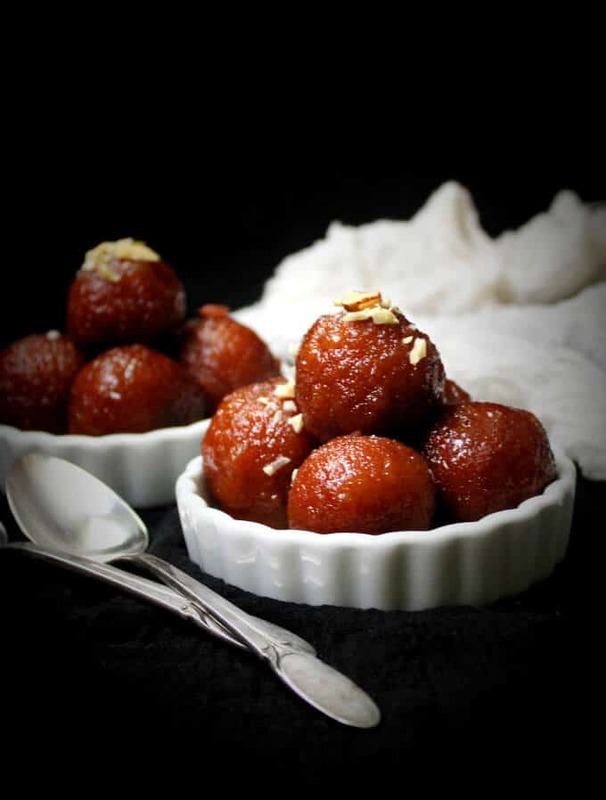 Your vegan gulab jamuns look absolutely divine. Bookmarked to try real soon. Thanks for sharing this. You are my hero! I thought Gulab Jamun would be impossible to veganize and you have done it! 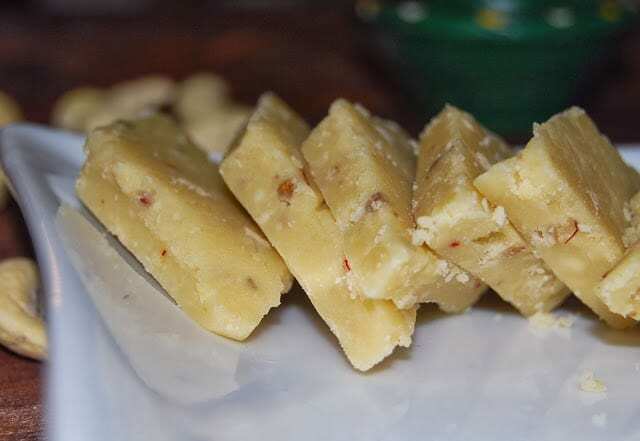 Your vegan carrot halwa is a favorite.. I actually think it is better than the version with dairy. Thanks for sharing. Hi Roopa, I hear you. My dad, after all these years, will still insist I drink tea with milk. 🙂 Most Indians truly believe milk is healthy, but people like you can help spread awareness. Ha ha ha..not only your dad ma,am, all parents are same. When I told my mom about veganism, she started to scold me..But I do what I feel is right.. But is soy products tasty, I have never tried them..Please advise. 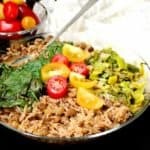 Soy products can be tasty, but I prefer to use a variety of beans, legumes and grains for my protein needs, There are so many great ways to get vegetable protein in the Indian diet without any need for soy or meat. 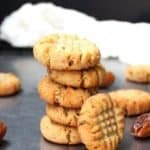 Thanks this recipe will help me so much to my daughter who is vegan. 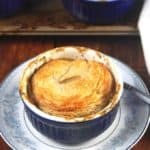 I would love to make this recipe! 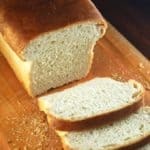 Could you advise what “white” bread you are using? I haven’t been able to find any so far that doesn’t contain dairy products. Thanks! Hi Vaishali, how exactly do you make the breadcrumbs? Any chance you could shar if you make pieves with your hands, use a food processor, and how do you mix is with the cashew? 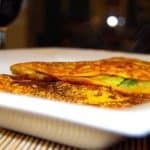 Dear Vaishali, thanks for the great website and awesome vegan recipes. 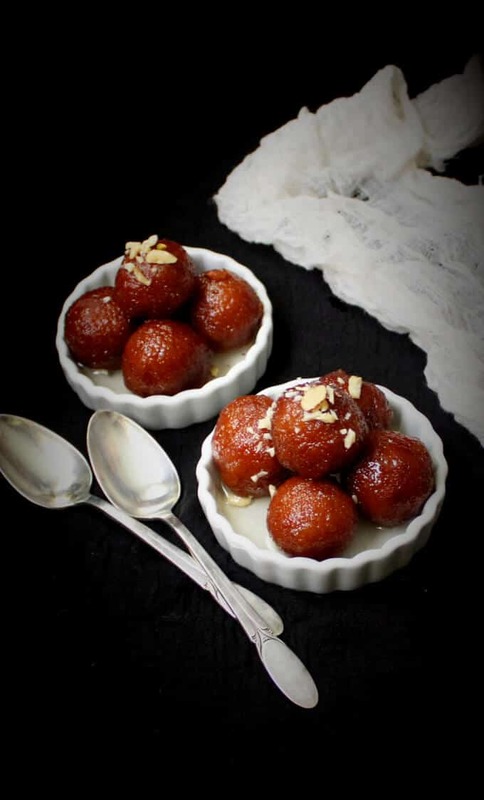 I am interested to make these Gulab Jamuns. I am not sure how to grind up the white bread into small crumbs. Fresh white bread is soft, moist and mushy, if you try to grind it I think it will just mash together into a hard ball, rather than break up into crumbs. Or do you recommend toasting or drying out the bread before grinding it up? What kitchen tools do you recommend for doing the grinding? Hi Mohan, use bread that’s at least a day or more old so it’s quite dry. 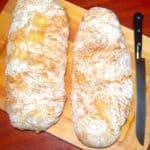 You might want to use a bread that has a drier crumb, like a baguette, instead of a sandwich bread that is mushy and soft. I use a food processor to break the bread into crumbs. Wow!! 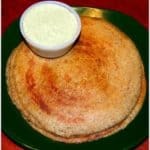 !…..When I turned vegan, I felt I lost my Mithais…..I felt really bad cuz I haave spent my childhood eating them…but your amazing recipe gives me immense happiness…and I want to make it someday soon!! !….THANK YOU! Thank you for your amazing post! You give crystal clear reasons why Indian vegetarians should turn to veganism, I can’t wait to try out the recipe!! 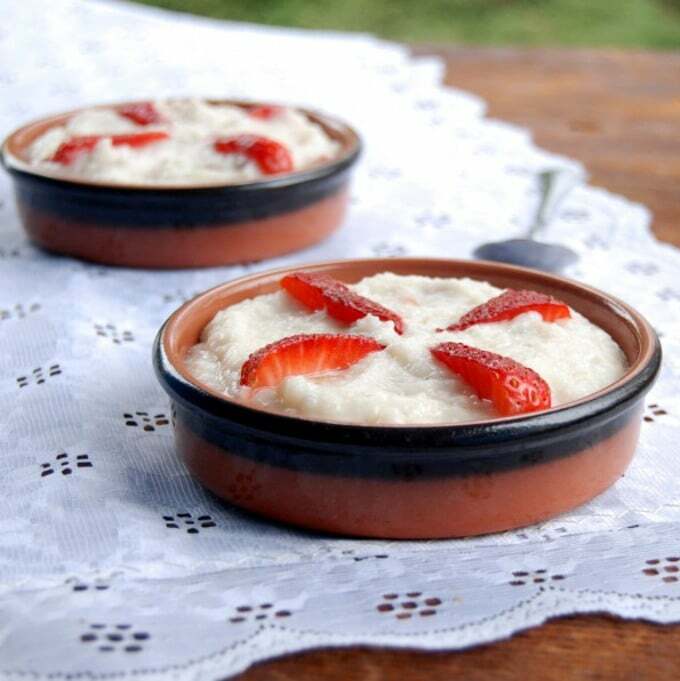 Hi Vaishali, i had lot of trouble trying to make vegan desserts for my Son who had turned vegan a couple of years ago. I almost gave up and you came along ! Thank you so much for the vegan gulab jamoon. Hope people like you all will make the earth a better place for all living beings. May this generation promote veganism from obscurity to mandatory !